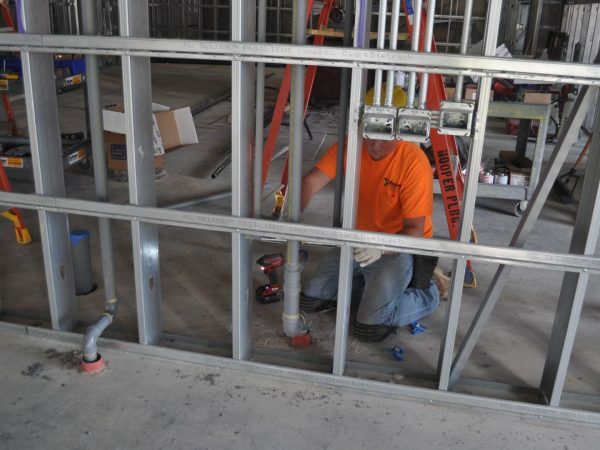 The construction of a new science labs building will help address a critical lack of space and the severely deteriorating infrastructure that is found in Cowley Hall, the campus’ current physical and life sciences facility. The $82 million dollar project will create a four-story science building. 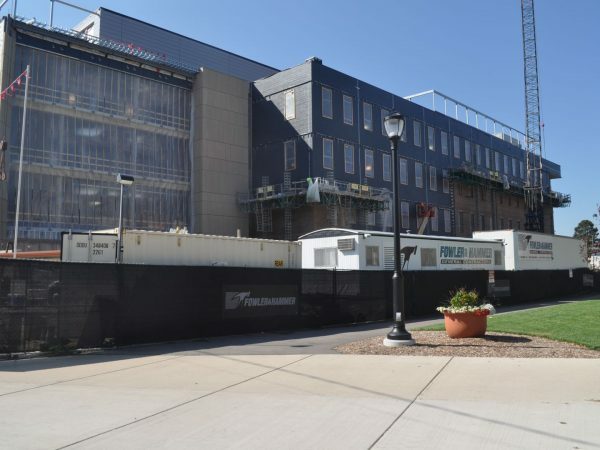 The new facility will be complete with 35 new instructional and research laboratories for biology, chemistry, geography and earth science, physics, microbiology, river studies, and the radiation center. The new structure will also house shared administrative and building support spaces. The building is scheduled to be complete in late 2018. 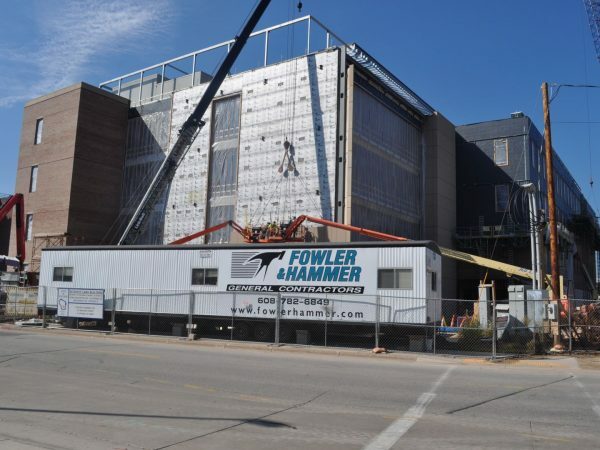 Hooper plumbing crews worked alongside general contractor, Fowler & Hammer Inc., on the new building located in the heart of campus. 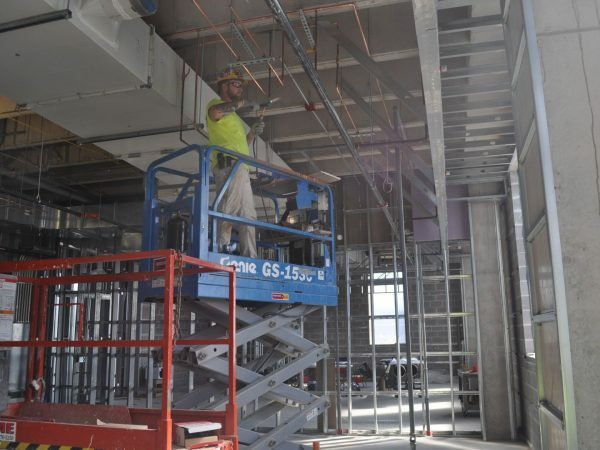 Given the centrality of the construction site to campus operations, special care was demonstrated during all phases of construction, including the movement of trucks and the delivery of materials and associated handling. In addition, crews also installed a large 100 HP air compressor with duplex dryers, a triplex vacuum system, acid dilution basin, and multiple RO units.